You know you’re mature when you remember seeing Packards for sale at the corner used car lots and driving around the neighborhood, and mine was not a ritzy area. But for those of us who grew up in the late 1950s and early 1960s, Packard was still a car make we recognized. Certainly Packard’s reputation had been stellar for years, before it slowly and sadly faded away after being purchased by Studebaker. The last Packards were 1958 models. 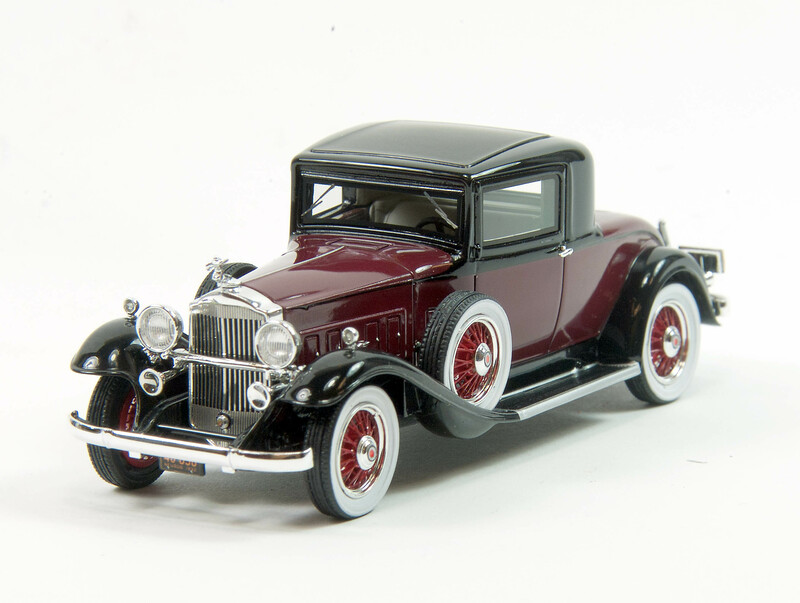 Yet in its early years and through the 1930s, Packards were considered more than premium motorcars, they were right up there at the pinnacle. 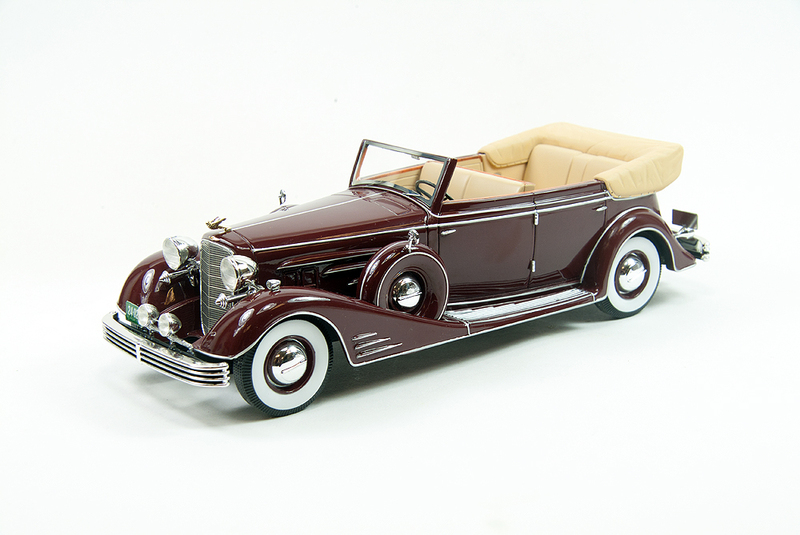 One of its classy coupes was the 1932 902 Standard Eight, a two-seater with rumble seat out back. 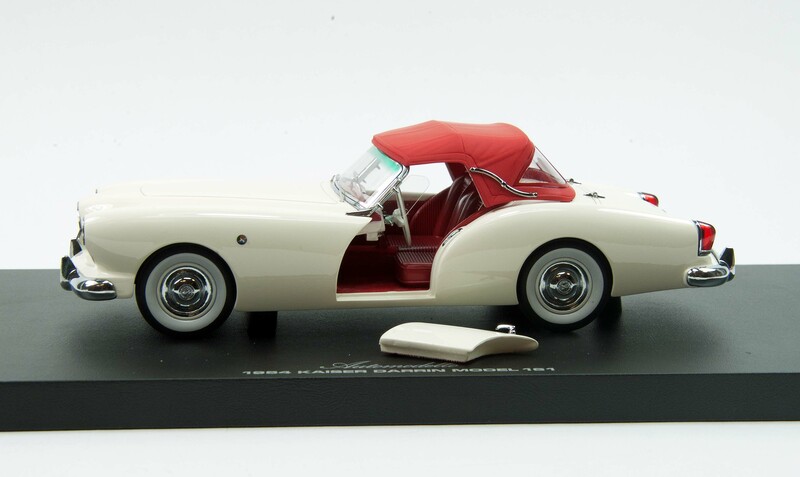 NEO creates a 1/43 scale resin beauty now in dark red with black roof and fenders. The review model comes from American-Excellence. 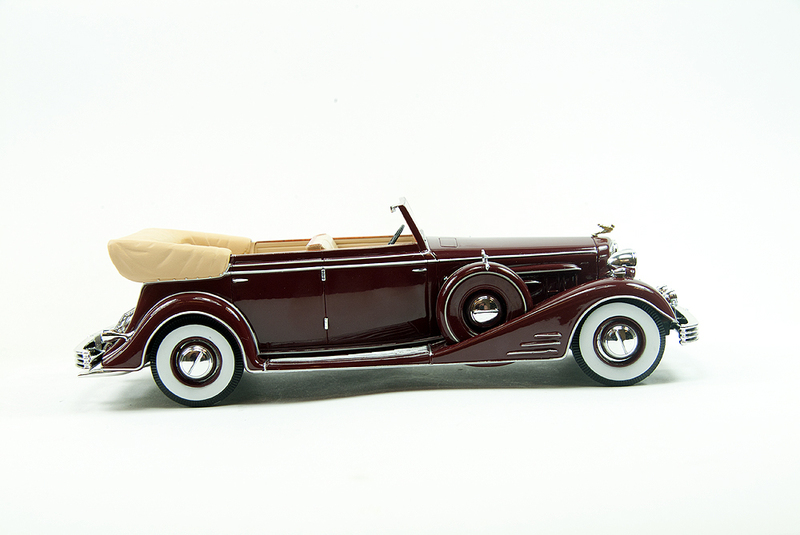 For 1932, despite the ongoing Depression, Packard rolled out its Ninth Series of cars, all longer, lower and faster than previous models. The Series 902 Coupe was a sweet one with an improved version of Packard’s Standard Eight engine, a 302 cu.in. L-head straight eight creating 110 horsepower. There was a fine line between sports cars and two-seat boulevard cruisers as the 1950’s midpoint approached. The British were exporting tiny, nimble, two-seat sports cars in growing numbers to the United States. This was the heyday of MG, Austin-Healey, and Triumph. Chevrolet, Ford and upstart Kaiser Motors were about to respond, with their Corvette, Thunderbird and Darrin, none exactly sports cars. Kaiser’s Darrin was by far the most stylish, but was basically a one-year wonder. The others had staying power. Now Automodello has created its own 1/24 scale resin model of the daring Darrin that once was described as looking like it was trying to kiss someone with its puckered oval nose grille. 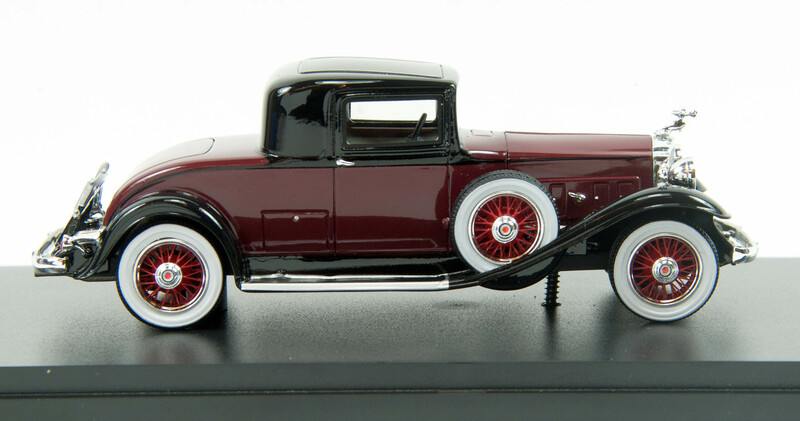 Not every new diecast vehicle is a muscle car or modern model. 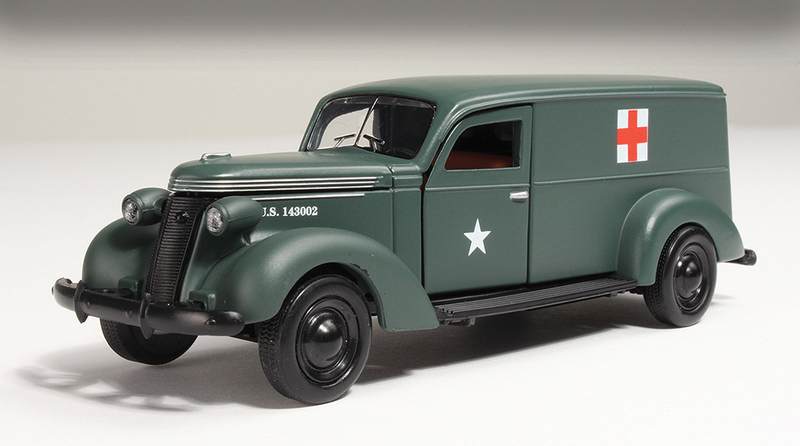 The Phoenix Mint reaches back to World War II for its vintage 1937 Studebaker Army Ambulance in 1:43 scale. In this scale and at this price, this 1937 Studebaker ambulance is a deal. Studebaker, an Indiana-based automaker that got its start by making wagons for farmers in the 1850s, was still a thriving company during the war. It had supplied wagons and vehicles to the military for years and its truck lineup was extremely popular in the day. So converting a Coupe Express, that was similar to today’s pickups, or just buying and converting a chassis, engine and cab into useful Army vehicles was easy. Studebaker also made many heavier duty trucks for the military over the years. For the record, Studebaker merged with Packard in the mid-1950s and made its final car in 1966, at its Canadian plant.